The Household / Curbside recycling program for the Vineyards at Jockey's Neck residents is administered by the Virginia Peninsulas Public Service Authority (VPPSA). Detailed information about this program can be found on their website at www.vppsa.org. 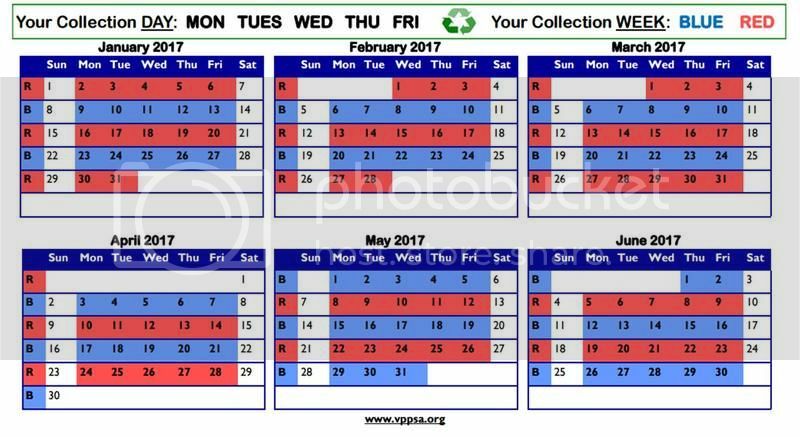 Each calendar year the VPPSA issues a new schedule for curbside pickup of recycled materials. Please note that the Vineyards at Jockey's Neck is on the RED route. A copy of that schedule is available on our website and is below (it can also be downloaded as a PDF file from the bottom of this page).